What is meeting strangers risk, and why does SaferKid include it in potential risks for kids using mobile apps? Well, the Internet is a very different place than it was years ago, and that’s brought about a more relaxed and safer feeling for most adults interacting online. Kids see this attitude and can start to think that everyone they meet online is a real, safe person to talk to and even meet in person. Twenty years ago, when the Internet was still a new and unexplored technology for most people, there was a lot of fear of meeting strangers online. Today, with the rise of social media, mobile technology, and constant connectivity, that fear is largely gone. When someone sends you a friend request on any social network, you can easily find out if they have any friends in common with you, where they work, what their hobbies are, and all kinds of other information. Just by Googling their name or perusing their Facebook or Twitter pages, you can find out if you’re talking to a real person or not. All of this transparency has led adults to feel much safer talking to one another, making new friends, and meeting potential partners on dating sites. As an adult, you know the steps to take to ensure your safety before meeting someone in person whom you’ve had contact with online. Your kids aren’t necessarily equipped with the same skills yet, and it’s up to you to monitor their mobile app use and ensure that they aren’t at risk of meeting a predator or giving information to a scammer. What is Meeting Strangers Risk? Meeting strangers risk is defined by SaferKid as the risk of coming in contact with and communicating with strangers, and eventually meeting them in person. Apps that are designed to help users make new friends are at a higher risk than apps that are designed to connect existing friends, though these have some risk, too, depending on how well-verified the community is. Many parents do not realize that 30 of the top 200 social networking apps in the App Store are for meeting strangers. These create enormous risks for children and have led to an unfortunate number of sexual assaults and other outcomes. Just looking at the number of sexual assaults of minors by adults on the app MeetMe is enough to make it clear how big an issue this is. Recently, a series of videos was released in which a man asked parents what their kids would do if he walked up to them with a puppy in a park or playground and tried to get them to go with him. Unanimously, the parents all said things like, “My kid would never go with you.” Then, in a hidden camera experiment, the man approached each of their children…and each of the children took his hand and walked away with him. In another series of videos, a man contacted teen girls on Facebook, pretending to be a boy their age. With the girls’ parents’ permission, he tried to convince the girls to sneak out of their homes while their parents were away. As in the other video series, the parents were all certain at the outset that their kids would be smart enough not to sneak out to meet a stranger. Unfortunately, just like in the other series, they were all wrong. Now, most people that your children come in contact with online will not attempt to abduct them, and you’ve probably already talked to your kids about what to do if a stranger tries to get them to go somewhere. However, when people develop relationships online and chat over days or weeks or months, they develop a relationship and in that, a sense of safety. On many occasions, when a predator is arrested (often by the good men and women of the Internet Crimes Against Children Task Force), they find that the person is cultivating relationships with a lot of young minors which is called "grooming." They slowly insert themselves and communicate over a long period of time, normalizing the behavior and then arrange to meet. Understanding the risks of meeting strangers on mobile apps means that you understand that your kids will be at more or less risk at different ages. Younger kids should be restricted from apps that allow this kind of interaction. In the unlikely event you do let them use such an app, you'd need to have access to the device so that you can monitor the communications. As your kids get into their teens, though, they will want and should have more privacy. A good rule of thumb is this: as a parent, it is reasonable for you to know what apps your child or teen has. But after a certain age, you shouldn't open them and look inside except in case of emergency. This is similar to knowing where your children go when they are out with their friends, but isn't like spying on what they are doing while they are there. That said, if they went to a bar, you'd want to know. And so you need to look at the apps. Now, most parents haven't heard of all the apps for meeting strangers, even the popular ones. Most probably haven't heard of MeetMe, and there are a lot more. That's one of the reasons we created the SaferKid App Directory. Of the over 1.1 million apps in the App Store, this directory tracks the risk factors that makes these apps inappropriate for children of various ages. Of those 200,000 apps that made it into the directory, we have put the most effort into tracking the ones that create the greatest risks for children and teens (meeting strangers, bullying, sexting and adult content). So, what you need to do is just regularly review the apps that your children have. If you find some you don't recognize, just look them up here. And for younger children, look them up before you even let your children use them. An ounce of prevention is worth a pound of cure, after all. If you are going to allow older teens to meet strangers online, it is important that you establish rules with your children about if, or when, they can meet people in person that they have met online. 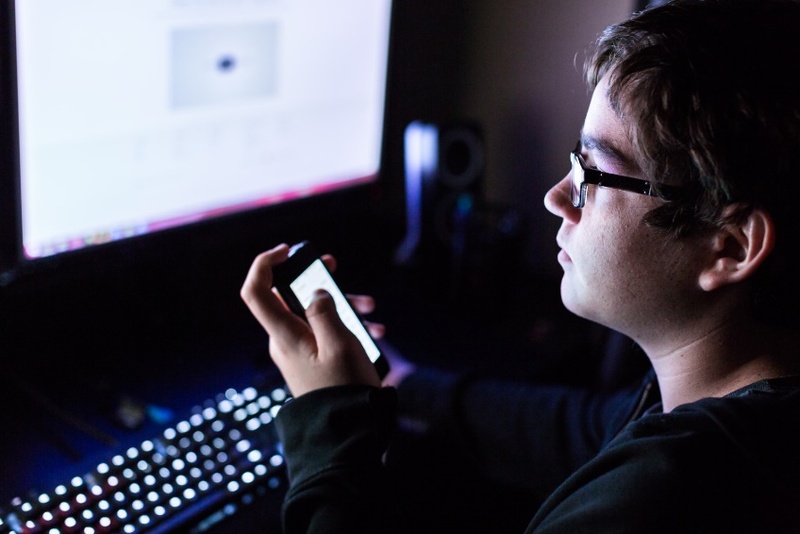 Predators will often use mobile apps to meet children online and develop a connection with them by communicating over time. As a result, no matter how long your teen has been communicating with a stranger, you or another adult needs to be present the first time that they meet. This is probably the single most important rule you can have with your child.